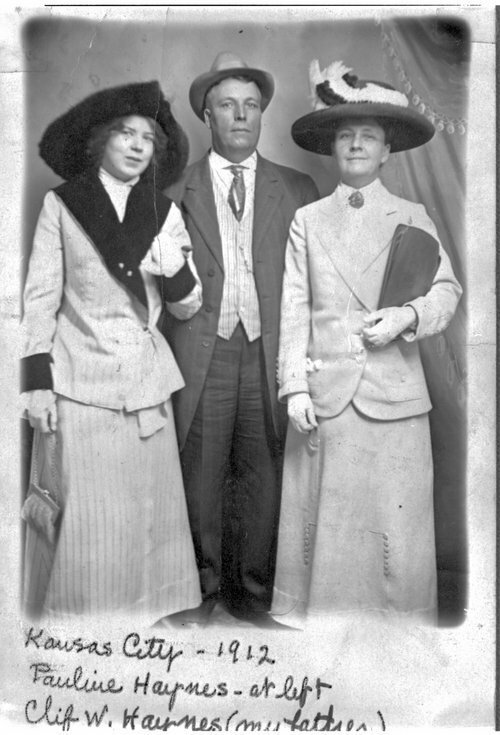 A photograph showing Pauline Haynes (left), Clif Haynes, and Hannah Headlee (right) taken in Kansas City, Kansas. Born in Topeka, Kansas, about 1867, Hannah Headlee was an artist, quilter, teacher and china painter. "The Iris" one of her quilting masterpieces is in the Kansas State Historical Society's museum.